The Common Nighthawk has large eyes so that it can easily see and pursue its prey, flying insects, after sunset when it is most active. 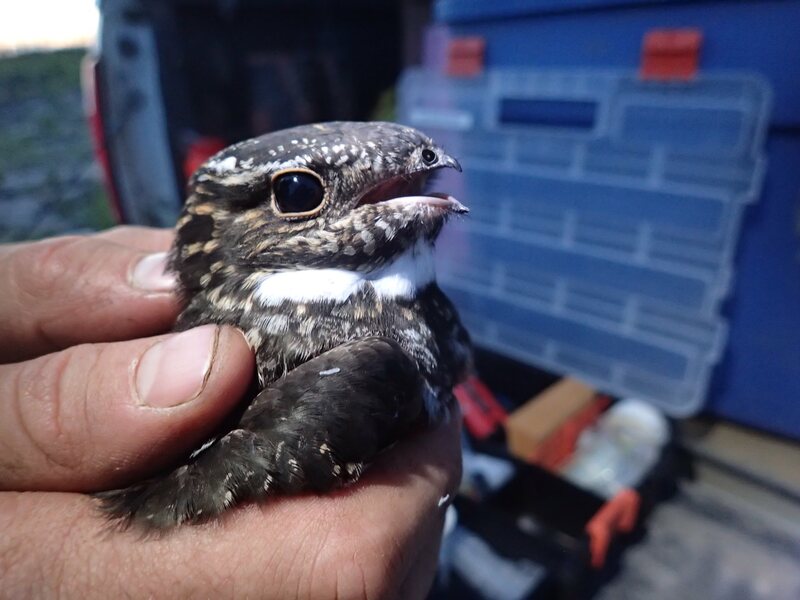 Although Common Nighthawks have tiny beaks, they have HUGE mouths that allow them to catch insects while flying in the air. 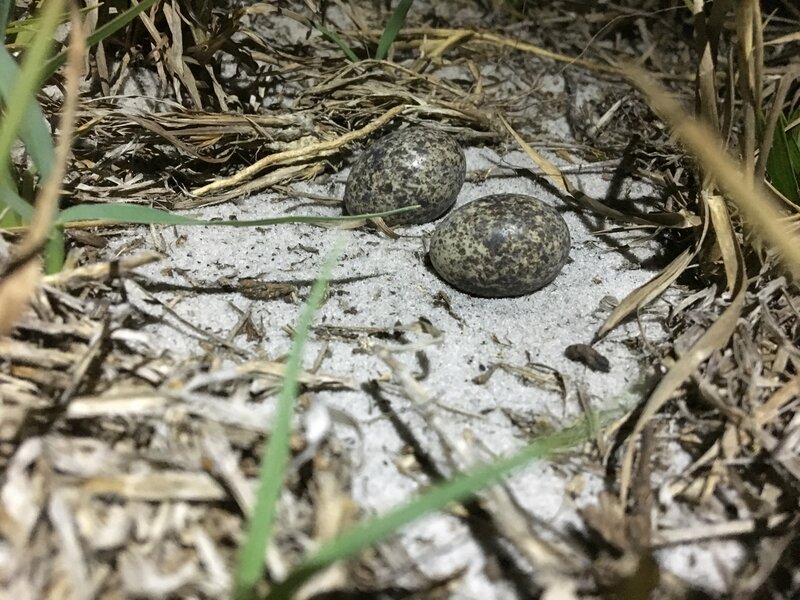 Common Nighthawks lay their two eggs on the ground, often on sandy soils. Common Nighthawk chicks are semi-precocial, meaning that they can open their eyes and walk shortly after hatch. This five-day old chick has popped out from under its mother to see what is going on. 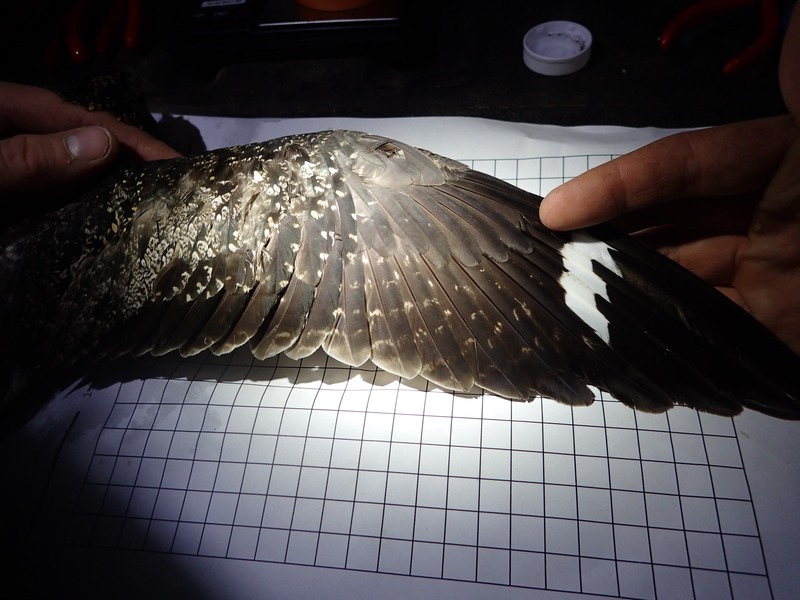 The long wings of the Common Nighthawk make it a highly aerial species. 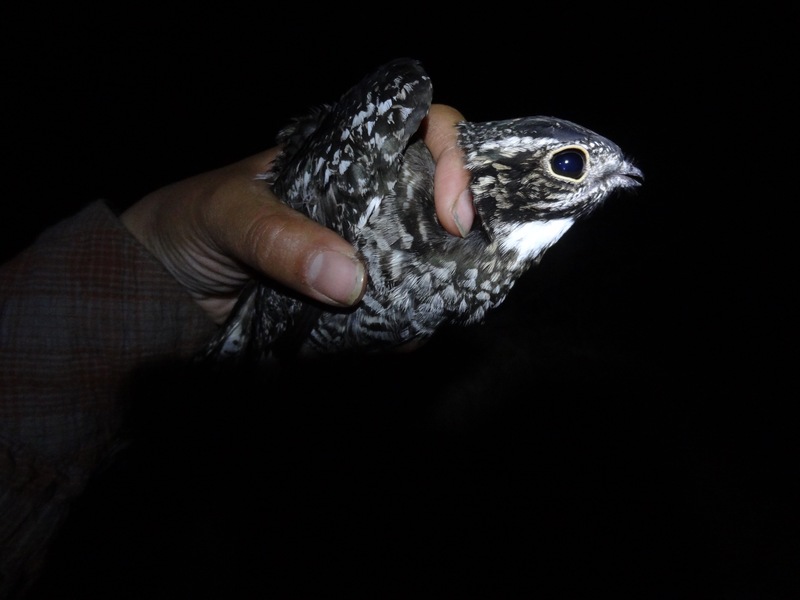 Common Nighthawks can fly several kilometres easily, making tracking and studying the species difficult. 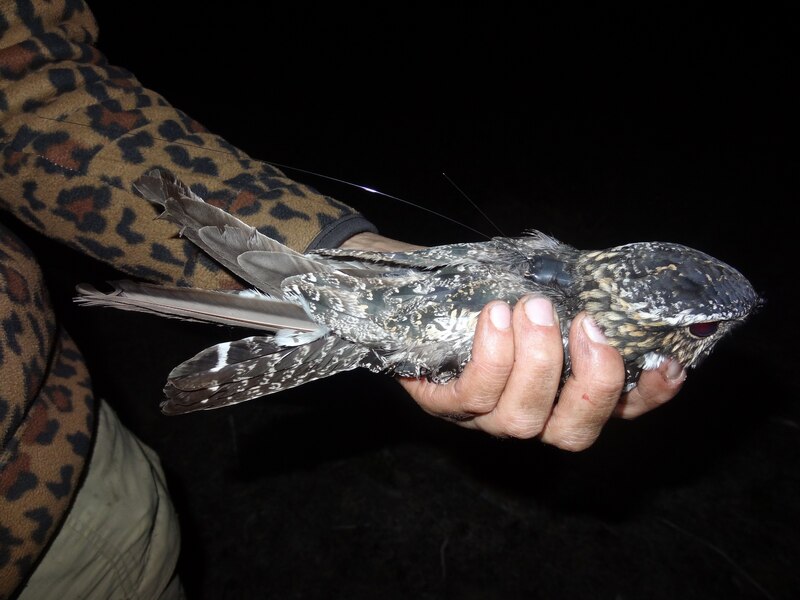 We capture and tag Common Nighthawks to understand their movement and ecology. The tags are fit like a miniature backpack and can be carried for up to a year. This male Common Nighthawk is being relieved of his GPS tag that he carried to Brazil and back. 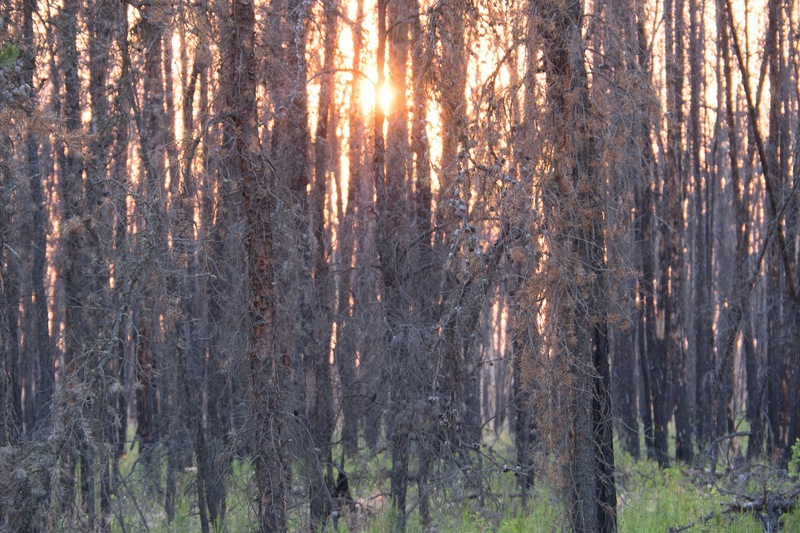 The tag antenna is visible on this female Common Nighthawk, who is roosting on a broken jack pine in the Richardson burn of northern Alberta. 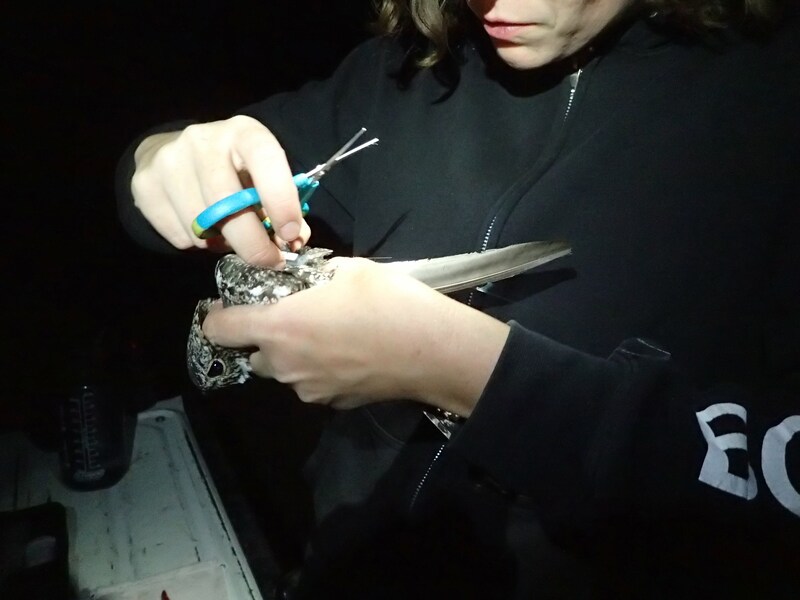 Working with Common Nighthawks in the hand is always a two-person process: one to hold the bird and the other to attach the tag. Across their range, Common Nighthawks are found in sandy areas, like the oak scrub of Florida. 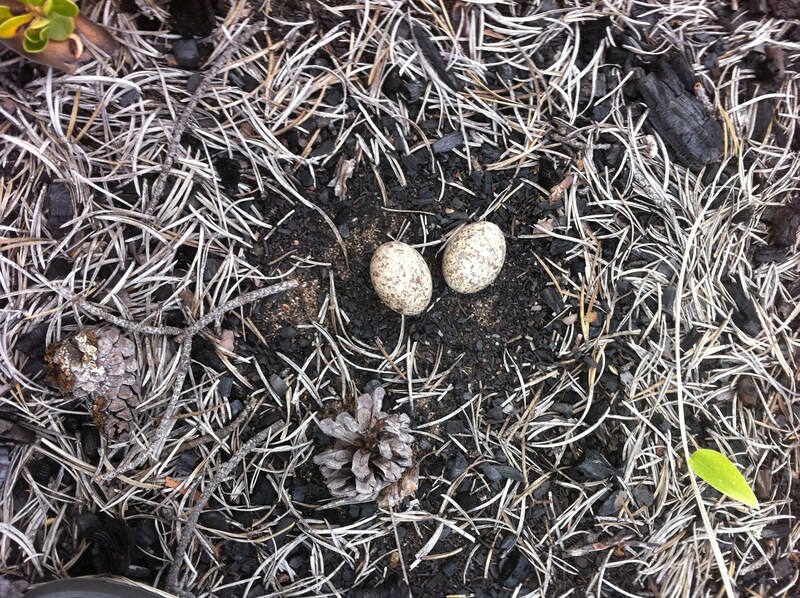 Common Nighthawk eggs are a range of colours across the range, but are almost always just two eggs. 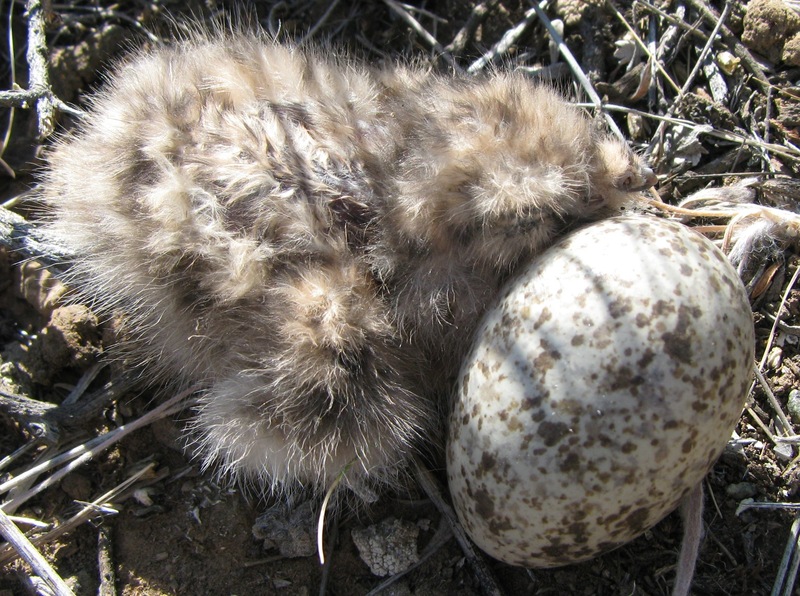 This freshly-hatched chick in the south Okanagan of British Columbia will soon be joined by its sibling. 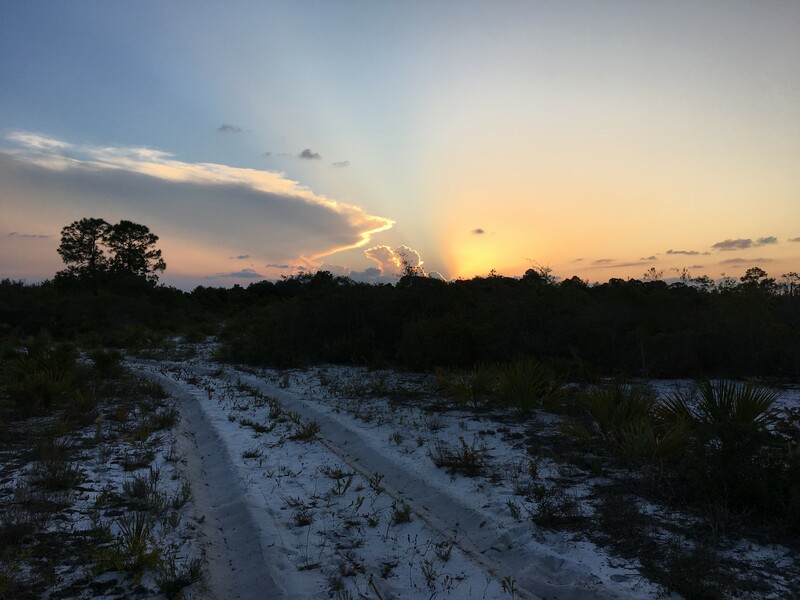 Working with a nocturnal species means seeing many amazing sunsets. 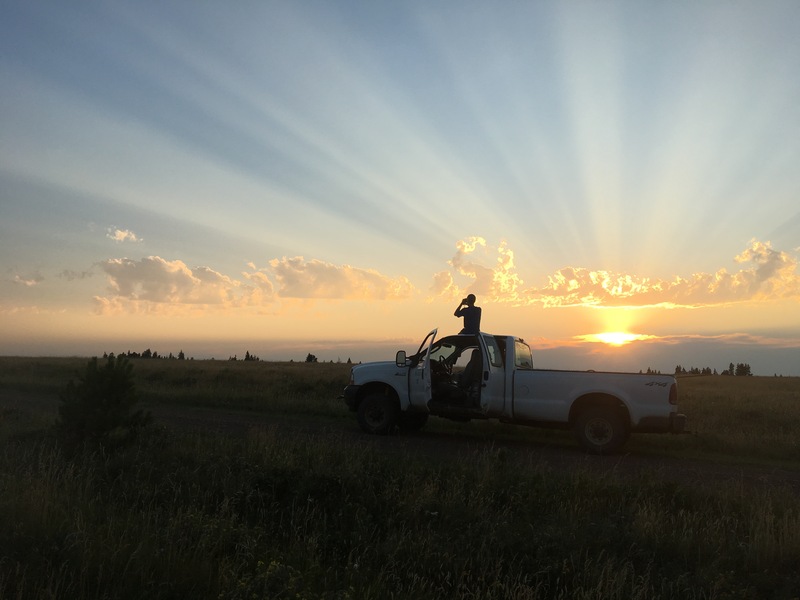 This particular sunset was in the Cypress Hills of Saskatchewan where the University of Regina has been studying Common Nighthawks for many years. 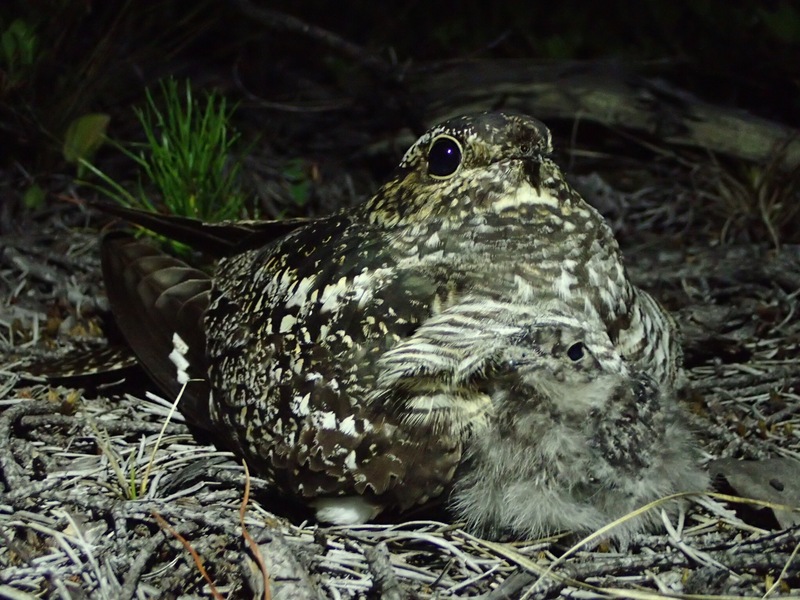 Common Nighthawks are opportunists, so when the going gets tough, they resort to less natural habitats. 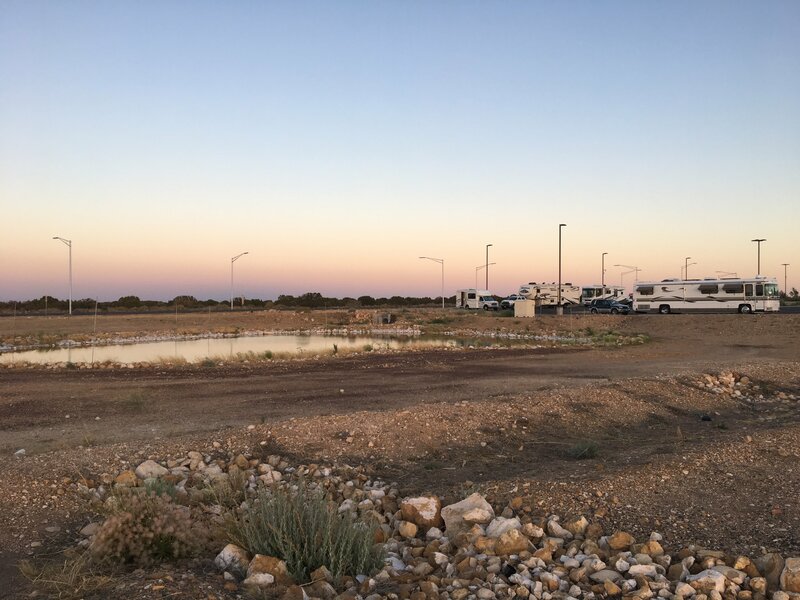 This greywater pond in Arizona was our capture site because it was the only water on the landscape in a time of drought. 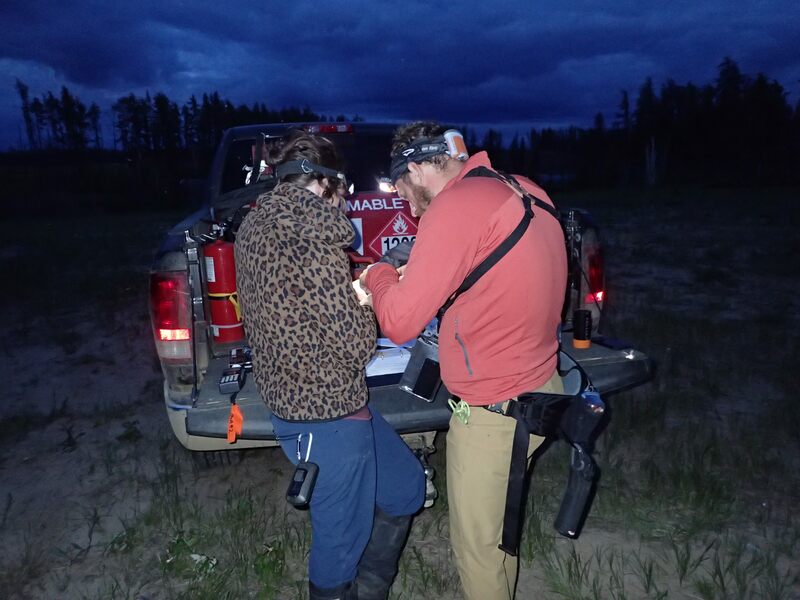 We use ARUs, or autonomous recording units, to survey for Common Nighthawks across their range and understand their ecology. Putting out ARUs can be hard work. 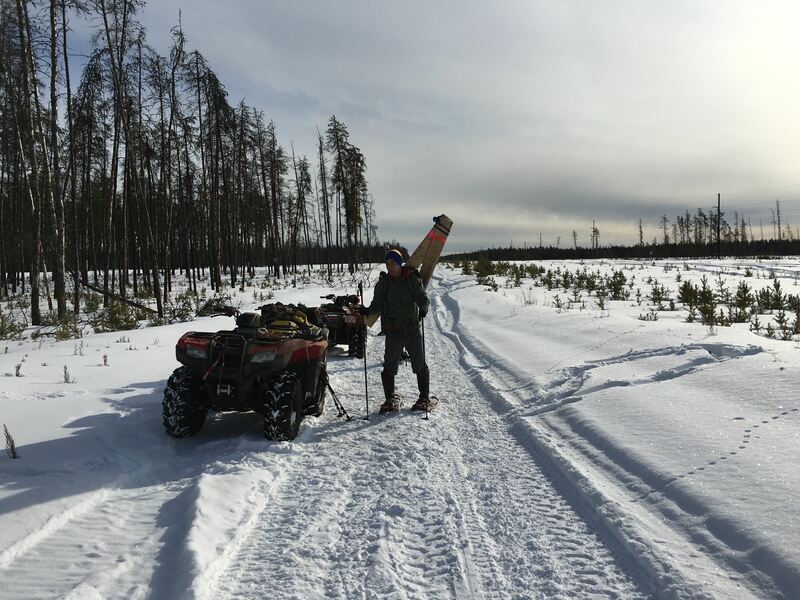 We often deploy the recorders in the winter before the wetlands have melted. 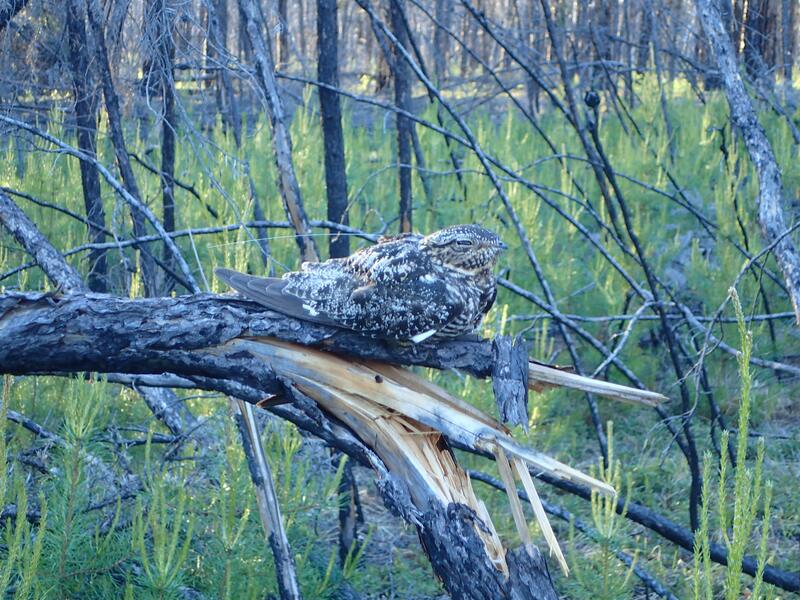 In the boreal forest, Common Nighthawks are associated with postfire areas. 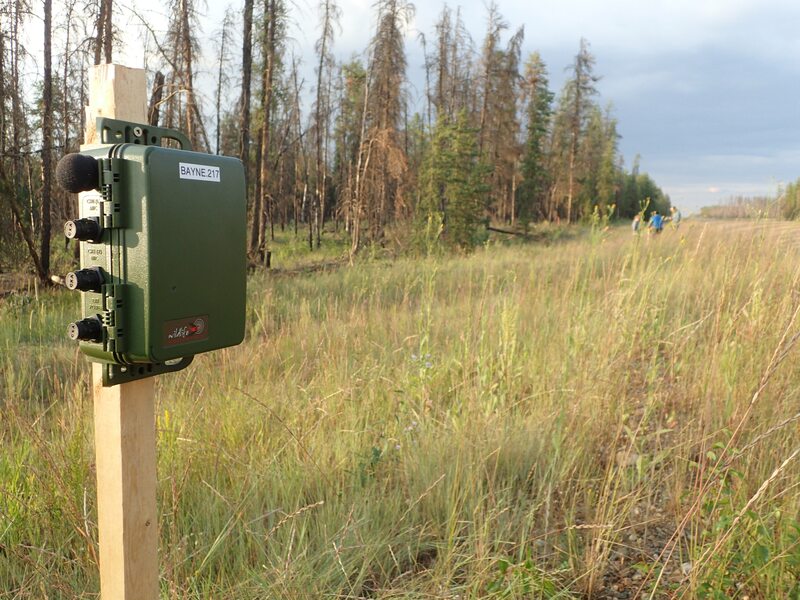 We’re using bioacoustics to understand this association and how long it lasts after a wildfire. 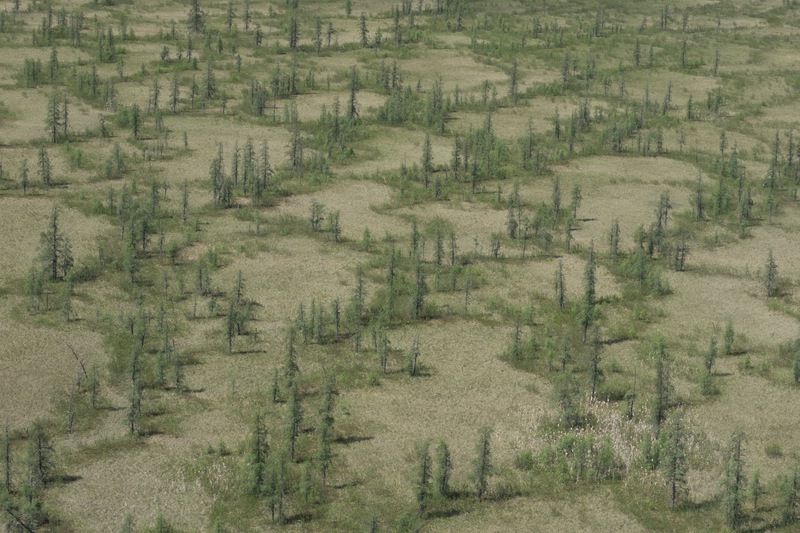 Much of our Common Nighthawk research is carried out north of Fort McMurray, Alberta in and around McClelland Lake, which is home to this beautiful patterned fen.